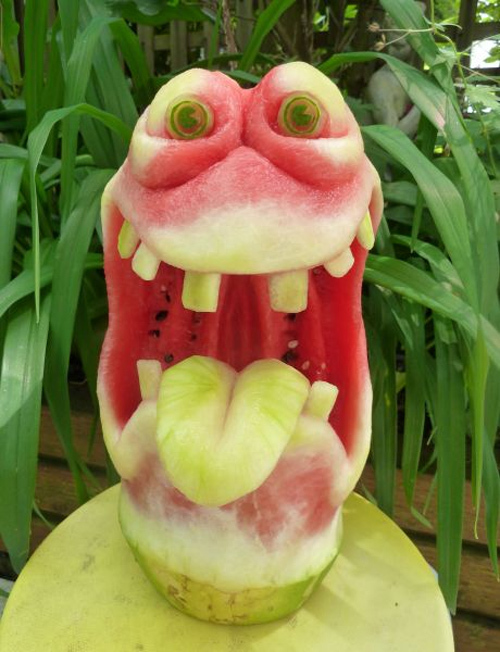 Watermelon is a large berry known to have a hard and thick peel covering a soft and juicy inside. 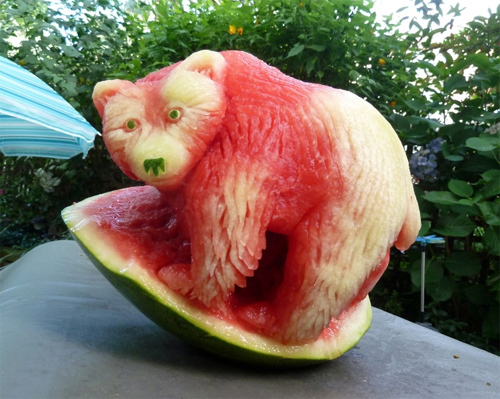 They are best taken during warm weather due to its watery characteristic and are best served when cold. 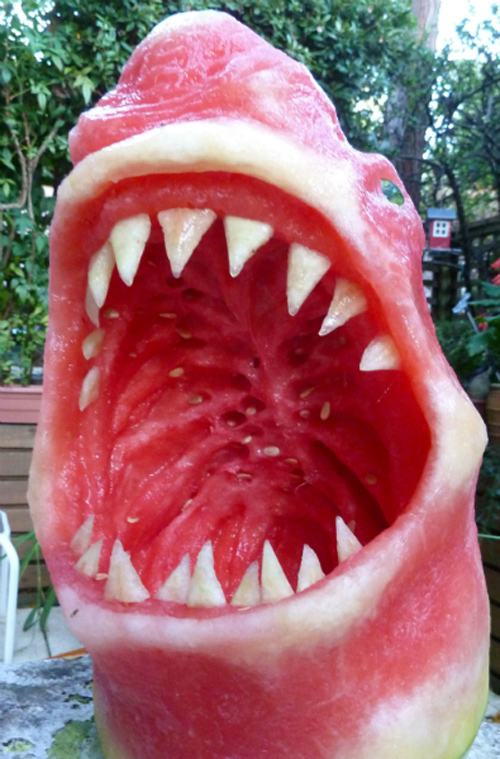 Yet, for our next featured article, they will not be served for your tummy but for our eyes instead. 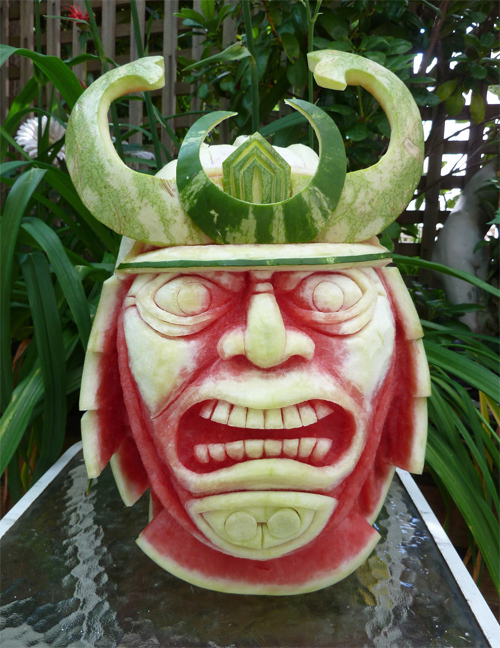 These watermelons have turned to artworks through watermelon sculpture. 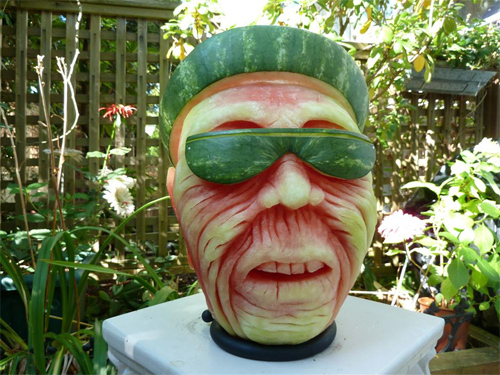 Clive Cooper has created a series of these watermelon sculptures which shows his skills and talent for art. 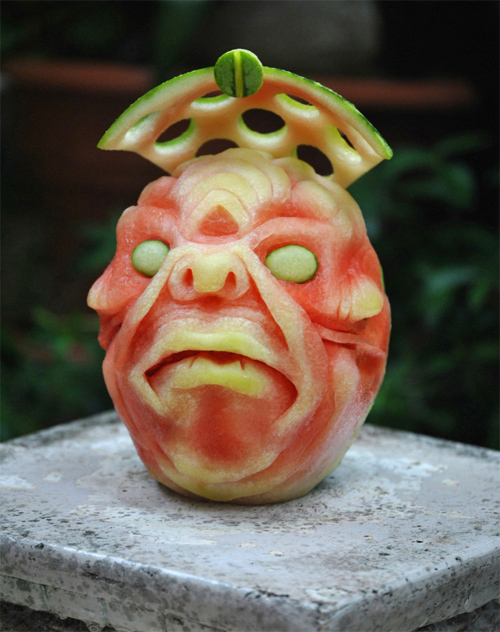 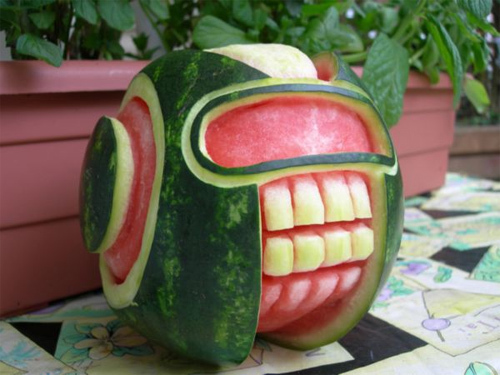 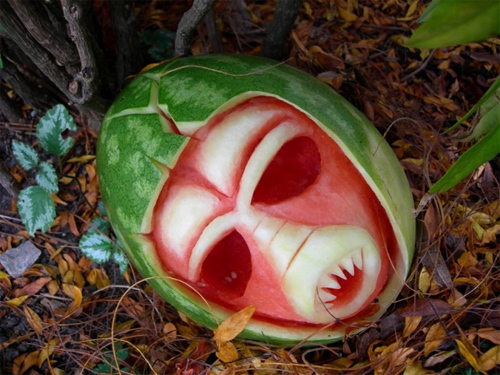 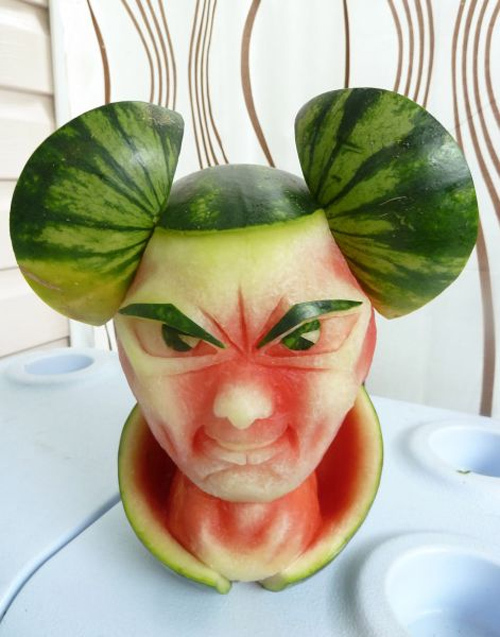 With his imaginative creativity, he is able to form heads, animals and other figures out of a simple watermelon. 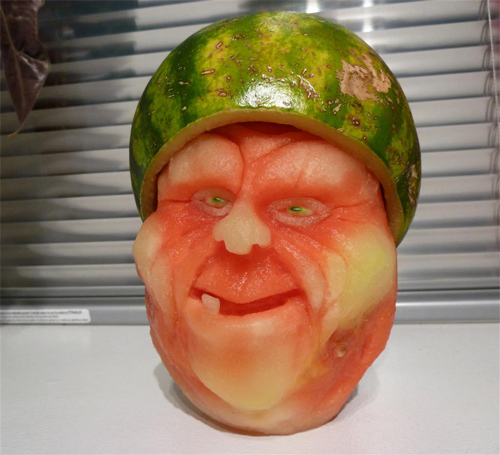 Scroll down, and check out some of his cool works. 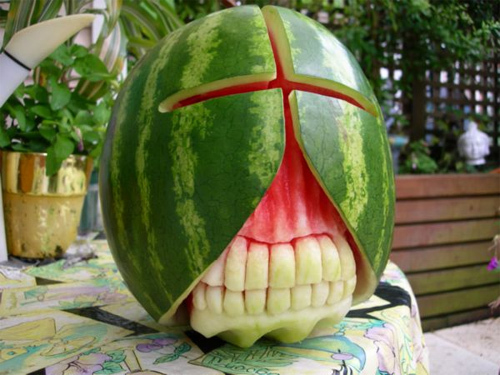 Come, take a peek, and enjoy. 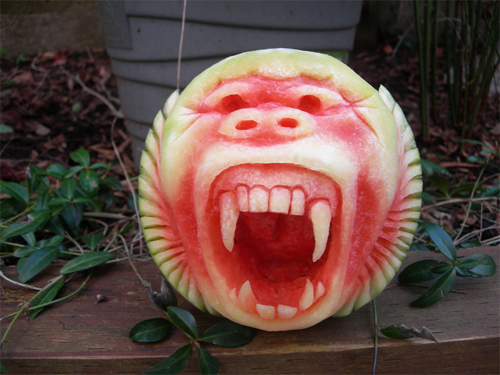 Check out Clive Cooper on his website. 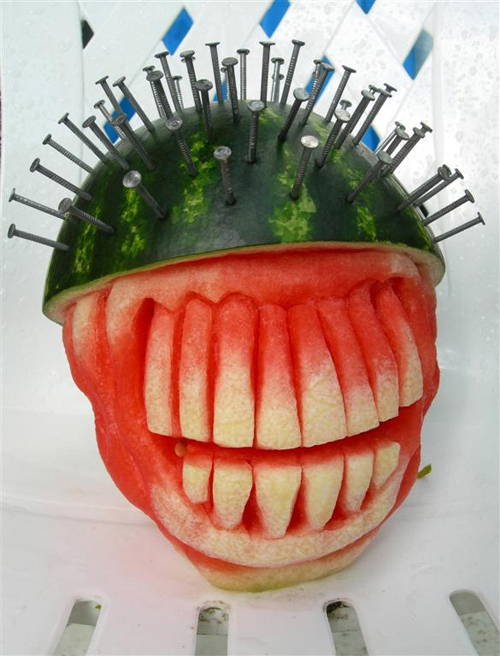 You can share what you think on his works by leaving your comment below.